Jim Mulvihill: Thank you to all of you in the media for joining us today. Well, we’re in the thick of the racing calendar right now. All the top horses in every division are training and pointing to important Grade 1 stakes. We’re only 12 weeks away from the Breeders Cup World Championships and now is really the time when we start to understand who the serious contenders are for those races as well as for year-end honors. A lot of that clarity will come from this weekend’s important Grade 1 event. We’ve got some of the top turf horses in the world traveling to Chicago for the Arlington Million, the Beverly D. and the Secretariat; not to mention the $400,000 American St. Leger. At Saratoga, we’ve got one of the year’s most prestigious three-year old filly stakes, the Alabama, as well as another premier turf event the same afternoon as the Million, that’s the Sword Dancer Invitational. And at Del Mar, three-year old fillies are on the turf in the Grade 1 Del Mar Oaks. Before we get to today’s guests, I’ve got a few reminders for everybody. The Alabama and the Sword Dancer will be featured on Saturday’s latest installment of Summer at Saratoga on NBC’s Sports Network, that’s 5:00 to 6:00 p.m. Eastern. The Arlington Million will be live on WGN from 6:00 to 7:00 p.m. Eastern. 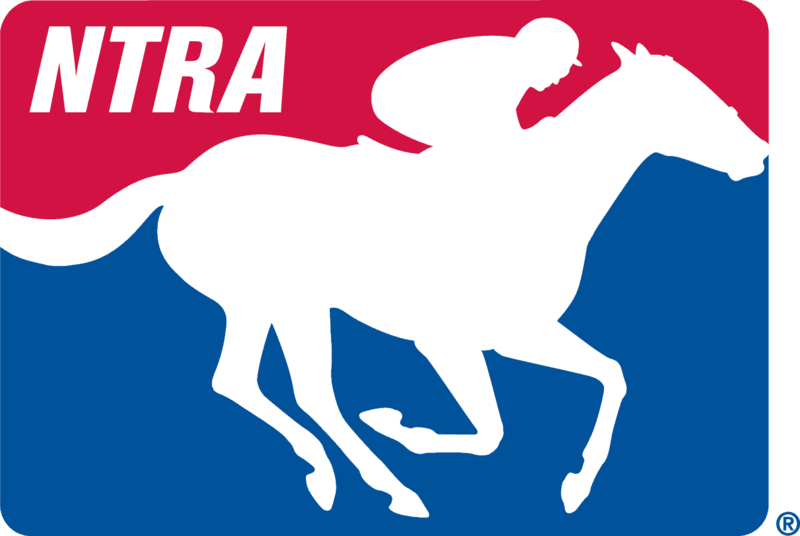 Our friends from HRRN, that’s the Horse Racing Radio Network, will also be covering the Million live; that’s from 4:30 to 7:00 Eastern and that’s over the air in Kentucky as well as on Sirius Channel 93, XM Channel 209 or online at horseracingradio.net. One more reminder, the Jockey Club Round Table transcripts as well as the archived video from Sunday’s conference are available online at jockeyclub.com. Now, without further ado, let’s get to our guests. Later on in this call we’ll have Dale Romans, trainer of defending Arlington Million champ, Little Mike, as well as Larry Murray, trainer of Colonial Turf Cup Winner and Sword Dancer hopeful, London Lane. We also could, but no promises, we could have a Ken Ramsey appearance if he can fit us in between flights. He has a layover and he’s going to try and call in. First though, let’s welcome in Ed Stanco. Ed Stanco is the principle partner in King of Prussia Stable. He’s also the CEO of White Mountains Insurance Group in Pennsylvania where he lives. Ed has been a fan of racing since he was eight years old drawn in by a fascination with numbers that also led him to become an actuary. King of Prussia’s Kentucky Oaks and Coaching Club American Oaks winner, Princess of Sylmar, is the likely favorite in Saturday’s 133rd running of the Grade 1 Alabama. Ed, you are on with Jim Mulvihill in New York. Thanks for joining us. Ed Stanco: Thank you very much, Jim. I really appreciate you having me on. One—just one point of clarification. Ed Stanco: I noticed the website says “White Mountains on the (inaudible) of another reinsurance company called Tao Reinsurance Company of America, and that’s in Morristown, New Jersey. Ed Stanco: Tao Reinsurance Company. Jim Mulvihill: All right. Well, let’s talk about Princess of Sylmar. I want to ask you about, you know, one of the most memorable themes that we’ve had at Saratoga so far this meet and that was the Winner’s Circle after the Coaching Club of American Oaks. All of your partners, everybody in the Winner’s Circle was chanting for you – Eddie, Eddie, Eddie. What was that moment like for you? Ed Stanco: It was just great. You know, it was the culmination of a lifetime experience. When I first got into racing—well, I fell in love with racing when I was a little kid eight or nine years old and then, you know, I remember I used to drive up with my uncle and go down Nelson Avenue by the harness track on the way to flat track and I’d be crossing the street and it was just great, a great thing to see and I just fell in love with those horses and that old—in the old track and old flat tracks. And then to go from there to actually handicapping horses and then, eventually owning horses, winning a race at Saratoga and then to have—win a Grade 1 that Saturday afternoon a couple of weeks ago was just overwhelming how exciting and how fulfilling it was. Literally the fulfillment of a life-long dream. And everybody that was with us there, I think we had about 120 people come up from Pennsylvania, New Jersey, New York, I had two people come in from Tokyo, colleagues of mine, and, you know, with everyone there and just having it all come together, it just—it was just so rewarding. Hard to describe. Jim Mulvihill: And for the filly, for Princess of Sylmar, what kind of statement did she make with the win that day? Ed Stanco: And that was a tough race. And that was probably the best experience of the entire campaign. I said to Javier that we learn more from that race that she’s really a come-from-behind horse and has one kick at the end, and so that actually worked out. Then we went to the Kentucky Oaks and she came from behind she used the exact same move that was in the allowance race and it was in the Busanda and also in the Buscher, and so it wasn’t really a surprise. So, everyone—I know a lot of people thought, well she’s a long-shot. The race was a fluke and all that business. But then when she turned around and won the Oaks the way she did, at the Coaching Club, Oaks that is, it just proved to—you know, it was validation to everyone in the community and I thought it was a strong performance, and quite frankly, I was surprised how strong of a performance the media thought it was. Ed Stanco: I thought it was a good performance but I didn’t really—I didn’t know it was that good, and then the 104 Beyer came out and it was great. Jim Mulvihill: Yes, 105 Beyer is what we see here. Now, it seems like she’s really thrived at Saratoga. Trainer Todd Pletcher said this week, I believe it was in the NYRA press notes, that she’s trained brilliantly since the last race. That’s his word ‘brilliantly.’ What are you hearing about how she’s coming into this race? Ed Stanco: She’s great. I tried to get over to the barn whenever I can to see her in the morning and talk to everybody in the barn about her, except for Todd because he’s always so busy. I don’t like to disturb him. The way I look at it is, let the doctor do his work. I’ll just go around the—behind the sideline. In our last—in the workout that she had the week before, Jake Nelson, her workout jockey said, “He had to stand in the irons and really hold her back the entire time and she still breezed very, very well.” And this week it was very, very good too when Todd’s been using words in text messages to me about how excited he is about her that I’ve never heard before. Todd’s a very conservative guy, as you know, and he doesn’t exaggerate, let me put it that way and he seems to be very excited and she’s training great. So, you know, we just hope that we’ve got four days I think and four and a half hours to go and hopefully she can stay as happy and healthy as she is over that little time period. Jim Mulvihill: Great. That is a very encouraging report. Thank you for that. I’m going to step aside now and throw it back to Michelle and see if any of the members of the media have any questions. Jennie Rees: Yes, Ed, I’m just curious, you’re part of a very deep arsenal of three-year old fillies in that barn and just want to look into the Oaks at least in probably the public opinion desk (ph) chart, you were maybe like fourth or maybe even fifth. And when you’re the owner of that horse and you see that horse everyday, what’s that like? And then what’s it like when (inaudible) just in the barn let alone the country? Ed Stanco: Going into the Kentucky Oaks, I told a lot of people at that point in time, I thought she was of third there, the way I studied it and handicapped the race, I thought Dreaming of Julia was a cut above everybody. And then there was the next tier of about four horses, where I felt we originally fit, especially if there would be early speed. I went into that knowing that it was a very tough decision to decide whether we wanted to go there and the Black-Eyed Susan, when we were there and she had a morning line at 20 to 1 and I thought it would go down because it was Todd—one of Todd’s horses. I thought maybe it would go down to 15 to 1 or so and when I was sitting in that paddock and looked up and saw her at 38 to 1, I looked over at my wife and I go, “Oh, I think I have a problem. I might have made a mistake,” and I said to Todd when he came into the paddock that day, I went over to him and I whispered to him, I go “Todd, do you really think we belong here?” and he said “Absolutely, there will be speed and she’ll close at the end.” So then when she won and she won the race it was just terrific. And then now when we won the Coaching Club it’s just been an explosion of emotion. I mean this is something that obviously I’ve never experienced before and probably never will again and it’s a phenomenal feeling and now going into the Alabama I know she’ll probably be close to being a favorite that my view on it is, ‘Oh God, just please stay healthy and have a nice trip,’ and we’ll see what happens. Ed Stanco: But there were two different things. I think I can explain that. If you go back to the Kentucky Oaks, as you know when you watch from the Grandstand, the boxed seats there, there’s a lot of interference with the seats. With the buildings in the inside, so you’re sort of flipping back and forth from watching the race and watching the video. And I always watch the race pretty closely from my binoculars, and so I was watching the race and I don’t—I didn’t hear anything, I knew where she was, you’re in the moment and I didn’t think about anything. And when she came through and she got to the last hundred yards or so when Mike touched her with the right hand and she started to explode, I thought, well good. We’ll get third—maybe we’ll get third. And then when she pulled ahead in the last 50 yards, I thought, oh my God, please, please God, let her stay on top. So that was all a completely different kind of feeling. Now in the other race when we go to the Coaching Club when she was back it was her normal style, I was looking through the binoculars again and I thought, you know, she’s right where we need to be but I’m just really frozen on the race. However, when she got into the far turn and she was really over in the 6th path and they were four wide but she was far out there and I watched so many horses at Saratoga way outside wide just not getting around the turn, I thought, oh, that was the first time I really was worried. And then she powered on and I was really quite frankly surprised how strong she pushed forward into the stretch and later on that evening I talked to Todd about it and I said, “Todd, you know, I don’t know, I thought it was her stride was tightening up a little bit at the end. I was a little surprised by that,” and he said “Well, you know, the track was very, very deep that day but that isn’t a problem.” So we don’t think we’ll have any problem getting the distance in the mile and a quarter but you know the fillies you never know what’s going to happen. Danny Brewer: How’s it going today, Ed? Ed Stanco: It’s great. It’s great. I haven’t slept all week. The rain just stopped up here at Saratoga. I can’t wait for her to get back out on the track tomorrow morning. Danny Brewer: I’m sure. Now I know if it is a mighty big word but if things can go the way you want in the Alabama and she wins, could she be the best three-year old in the country regardless of gender? Ed Stanco: All I look at are the charts and as Todd has always said to me “All of this business it’s so much fun to talk about obviously. That’s what makes our sport such a great sport. We all have our opinions but as Todd always says to me “It all gets settled on the racetrack.” And if she does well here then she’s really—she has actually beaten all of the tough fillies in the country. So that to me is—it’s just shocking to me, I mean how far she’s come and how good she is and it’s terrific, it’s a blessing. Danny Brewer: Talk about the job that Todd Pletcher has done. Given the fact that he does have a lot of these top fillies but what kind of attention has he given to your horse and how is he made her so much better? Ed Stanco: I’ve been with Todd for, I think it’s 12 years, always one at a time and I have always felt, I know Todd has all the big horse—or the big names and all that but he has always paid, him and his assistant, have always given us as much attention as any other horse he’s ever had. I just feel it from not only my own thought but actual experience with him all the time. And he—she was very, very good off the farm and when I sent her to Todd last July we thought Ronnie and Betsy Howe on the farm always thought she was a very special filly, certainly maybe the best they had and how she—how balanced she was, how she covered ground over the track and so when I sent her to Todd I said “Look, Todd, one of the problems is a lot of people that own two-year olds try to push them too far and too fast. I don’t want that. I know that’s what happens” and I said, “I want you to take as long as you possibly can. I want her perfect when she goes to the track. I don’t have to make the Saratoga meet. I don’t care if doesn’t even start until she’s three years old. You just wait until you think she’s absolutely perfect” and his response was “I know, she’s a handcrafted filly.” Which she is. She was my first bred and I wanted to take care. And so he planned out. It was our view, we wanted to plan out a campaign where we would make it relatively easier, not easy, but easier for her to win, and so what we did was we picked our spots, we started out as you know out of Penn National. She is PA bred. Take advantage of it. The economics are as good as the maiden special in New York and we’ll see how she graduates but let’s take it easy once step at a time. And Todd, he understood what my goals were and what my needs were and how I approach it and so he designed the plan to do just that and it’s worked out great for us. I mean it’s really been just an A-plus terrific ride. Danny Brewer: I hope it will continue working out well for you and I wish you the best of luck. Ed Stanco: Thank you so much. Danny Brewer: Right, thank you. Ed Stanco: It’s been a lot of fun. Carol Holden: Basically every small breeder’s dream and you mentioned that you had something like 125 friends with you. I’m wondering if any of those 120-odd friends are so inclined to perhaps get in the business seeing your success? Ed Stanco: You know, I’m not sure about that. A lot of people have come to me, you know, over the years and said “Gee, one, we would love to, you know, we’d love to get in, we’d love to join us and the kid or something,” and my reaction isn’t ‘great idea.’ My reaction is just the opposite. It’s, look, unless you’re really passionate about horseracing, you’ve got to be passionate about thoroughbreds and if that’s first on your mind, it always was for me, then I would encourage people to go in. On the other side of it, there are a lot of people that think ‘Wow, this is really exciting. It’s fun.’ and there’s a—and they’re getting—they get into something they really don’t understand, they’re getting into it for their own thrill, their own action and they don’t think about the horse first and it’s a very sad situation. And so you get a lot of things, you get a lot of syndicates that get started up and they don’t work out and they burn out. And there’s the other half. I mean there’s paying all the bills and dealing with all of it, dealing with everything in a professional manner and it takes a lot of time and effort and most people don’t have a very good return and you can’t—you almost can’t even look at it as a small guy as achieving a return. It’s—yes, it’s a business but you’d better be prudent at it and it seems to have worked out well for us. Carol Holden: Were you involved in any partnerships or did you just go in on your own? Ed Stanco: No, I was involved—how it happened for me, I had studied owning a thoroughbred for about five years before I did. I read a lot of—I asked a lot of questions, I thought about the economics, I really, really studied it and spent a lot of time and a business partner of mine, Mike Cassio, had sold MadCap stable and so he gave me a lot of pointers and he was one of the Todd’s very, very first two or three clients. And so I felt if I could get involved I would get involved—ever I would get involved with the people that really knew the right connection, and so we owned a horse together and was right with Todd, as I said, 12 or 13 years ago and then the second horse after that I was in a syndicate that Mike already had, also MadCap stable and we had Capside Lady who was a multiple-graded stakes winner and went to the Breeders Cup. So we had a pretty good experience right from the beginning but I had very, very good advice getting into it. And I would suggest to new owners if they were going to go in, they would want to go in probably in a syndicate format. I think it’s a great format for the little guy to get in providing he knows who he’s dealing with and what the expenses are of getting in. Carol Holden: Thank you and I wish you the best of luck because the Alabama’s one of my favorites. Ed Stanco: Oh, absolutely. When I saw Questing race a year ago, I mean this is a funny part of the story. When I watched Questing blow away the field and Alabama’s been a favorites of mine forever, and I saw that, you know, when she won I think by six or 10 lengths, I can’t remember, I thought this is an incredible experience and just to think that, we’re going to be in that same race a year—just a year later, I never, never could have imagined this would happen. It’s great. Jim Mulvihill: Eddie, one more question. You mentioned that you’ve always had One At A Time since you’ve been with Todd. This is the only horse you have in training right now? Ed Stanco: No, actually it’s not. We retired Storm Dixie, who was the mare and another one that Kitty’s Joy after an injury several—a number of years ago. And so we have the two mares, we have Princess, you know, obviously at the track, we have a two-year old that’s going to Todd maybe this week called Queen To Be that’s a Flatter out of Raise the Kitty who looks very, nice filly and then we have a yearling, Storm Dixie, E Dubai yearling, and then we have a foal with Raise the Kitty and we have a Storm Dixie foal with Petionville. I think there are seven in total now. Jim Mulvihill: Wow, fantastic. All right. We’ll look forward to seeing some of those start soon and most especially we’ll look forward to seeing Princess of Sylmar on Saturday. We wish you luck and appreciate you being with us today. Ed Stanco: Thank you so much. I really, really appreciate it, thank you. Bye-bye. Jim Mulvihill: All right. Thank you so much, Eddie Stanco. He’s got Princess of Sylmar in Saturday’s Alabama, and I’m told that we do have Ken Ramsey on the line. So let’s welcome him in right now since I understand he’s at a layover. Ken, are you there with us? Ken Ramsey: Yes, just now tuned in. I’m on the way from Saratoga now in the Albany airport. Jim Mulvihill: All right, thank you. Well I won’t go through a long Ken Ramsey introduction. I’m sure most of the people on this call are familiar with you. But let me run down how well represented you are this weekend. You’re in most of the major races around the country. You’ve got Real Solution in the Arlington Million, Big Blue Kitten in the Sword Dancer, Artemus Kitten in the Beverly D., Amen Kitten and Admira; Kitten in the Secretariat and then Dark Cove in the American St. Leger, and of those only Dark Cove is not a Ramsey home-bred. I barely know where to start with all that but maybe I’ll ask you if you can share which of those you personally are most excited to see run this weekend? Ken Ramsey: You left out the Gold Rush Futurity at Arapahoe Downs going to Colorado..
Jim Mulvihill: I should’ve known, I should’ve known. Ken Ramsey: We home—have a home-bred but (inaudible) that one. Jim Mulvihill: Of course you do. Ken Ramsey: But they did a nuclear scan on her and everything yesterday and there’s nothing wrong with her rear end. The only thing was she had—one of her left-hand ankles bothered her so they’re doing an x-ray and all that so I don’t think it’s going to be anything serious. But instead we’ve got a 20 to 1, Artemus Kitten, filling in for her, which I don’t think that’s probably going to get the job done, but nevertheless we’re in there. Other than that, I’m really looking forward to the Arlington Million because the horse that was 2 to 5 in the Italian Derby but ended up with a pretty bad lung infection after the race, Real Solution. Chad Brown is pretty high on him. He’s been training well up here at Saratoga. So that’s my big hope, that and knock off the Arlington Million and if we can get the Europeans. I understand there’s several of them coming over. Jim Mulvihill: Yes, I believe there—I think there’s a half dozen of them. Ken Ramsey: So I (inaudible) European. But I’m trying to make an impression on the people over there with my sire, Kitten’s Joy. We’re running also—we have—I went to Australia and he’s getting to be running in France this weekend and then we’ve won a couple or three races over in Ireland. And anyway, we’re well represented overseas also. Jim Mulvihill: Great. All right, thanks for the heads-up. We’ve got 10 minutes with Ken Ramsey, so Michelle, let’s see if any of the members of the media have questions. Jon White: I was wondering, Ken, why Real Solutions started off in Italy. Ken Ramsey: Yes, he won his first three races over there, and probably I guess my dad would turn over in his grave, I had a bona fide offer of $2.5 million for this horse, but I was thinking the smart thing to do would be to take him over to Royal Ascot undefeated and that was the year that I had Black Caviar and the Frankel was going in so I thought it would get a lot of media hype three undefeated horses coming in and how him having won four in a row. He developed a ung infection. We didn’t go so the $2.5 million was naturally withdrawn, so it could turn out that it could be a sire if he wins the Arlington Million. So maybe I have played it right after all if our dream comes true this weekend. Jon White: But why did he start in Italy and not in the United States? Ken Ramsey: Well, I had this fellow named John Villaluca (ph). I mean I’m saying—mispronounced his name. My Italian’s not too good. And John Luca (ph), Vianconni’s (ph) his name, and I was introduced to him. He’s a top trainer over there in Italy. A gentleman named John Villamato (ph), very good friends with one of my wife’s doctors. He was one of the correspondents over there in Italy. So anyway, if I decide to try to return the favor to him, they want me to send three over. So he was one of the three I sent over and he turned out to be really, really good one and stayed here in the United States. No telling what might happen, but anyway we sent three over and had such good luck. We sent three more over so I got three two-year olds over there also that are all in France now. Danny Brewer: Mr. Ramsey, you got a big old litter of kittens. How—what kind of job is it for you to keep track of all these cats? Ken Ramsey: Well, I’ve got an iPad, so I keep all the stuff on the iPad, plus I also have a yellow legal pad. We started out naming the—I used to be partners with Governor Jones from Kentucky. I’m sure everybody’s heard of Arsdale Stud, and he told me, he said that “Ken, when you’re starting out a new stallion you ought to start naming your stallion, incorporate that in the name of any of the horses you keep to race. So we did that for the first couple of years. Out of the first year was a total disaster because our first crop ended up getting what they call the strangles. Claim some horse and brought him in on the farm and the entire yearling crop got strangled. I guess a lot of readers out there don’t know what that is. It’s bad. It stunts their growth and all that so I thought ‘My gosh, I’ve ruined my stallion,’ so frankly nothing out of the first crop did any good because (inaudible) wasn’t bred for him. Oh, so after the first crop then we also named the second crop before getting in their names. And then we decided that was a little too much kitten, so I didn’t—the third crop I didn’t use the name at all. But the second crop became so popular, I thought it was real good a advertising ploy so now we put the kitten in all their names. So worked out very good that everybody knows who the kittens are and it’s kind of become a, you know, Kitten’s Joy’s kind of become synonymous with the Ramseys. Danny Brewer: Yes or no, real briefly, the Arlington Million, do you view that as a ‘us versus them’ with all of the Europeans coming over and would you take a lot of pride in standing up for the good old US of A there? Ken Ramsey: Well our horses are raised well on the farm. We have a mile-long spring water. They’re not in a hot house or all strictly raised—slow down, Andrew. So they’re all raised properly on the farm and they’re not—and Sheikh Mohammed was here he brought all his people by the farm and one of the things they took away was our watering system. So his horses are raised well and I think we can compete with the Europeans with them. I’m looking forward to the challenge. I think we’re going to have a big weekend in Arlington this weekend. Jim Mulvihill: All right. Mr. Ramsey, I was just wondering if you could talk a little bit more about Big Blue Kitten. I mean this is a really nice Grade 1 winner and you would think coming off the UN that the Sword Dancer would be a perfect spot for him. Ken Ramsey: We think it is. Big Blue Kitten, I graduated in University of Kentucky and of course the basketball team down there have been—many championships so I called him Big Blue, so he was named Big Blue Kitten and also my alma mater. The horse started out but (inaudible) most of these Kitten’s Joys don’t demonstrate their true worth until they get to the three-year old year, so we started him off on a claiming race first two starts (ph) and then after that, then after that we don’t want to lose this horse. So he’s really progressed. We think he’s a nice stallion prospect. Did real well in his last race at the United Nations, so he’s already got a Grade 1 win under his belt and if he could pull off the Sword Dancer that would enhance his revenue as a stallion. Jim Mulvihill: Great. And where will we find you this weekend? Where—which of these tracks will you be at? Ken Ramsey: Myself and 17 other family members will be at Arlington Park. We have a horse in all the stake races if everything holds together. So I’ve got a big crew going to be in Chicago this weekend. Jim Mulvihill: Terrific. Well, we’ll look forward to seeing you there. I really appreciate you making the time to call in with us today, and we’ll let you go catch your flight, but please, please tell Andrew not to go too fast. Ken Ramsey: All right. Thank you very much. Enjoy the conference. Bye-bye. Jim Mulvihill: Larry, it’s Jim Mulvihill in New York. Are you there? Larry Murray: Yes, Jim, I’m here. How are you? Jim Mulvihill: I’m doing great. I appreciate you taking the time to talk to us today. Jim Mulvihill: So London Lane, he was 50 to 1 when he broke through last time in the Colonial Turf Cup. Before that he hadn’t even hit the board in his first start of the year. So what gave you the confidence to try him in a Grade 2? Larry Murray: He ran decent in that first race. Back—I’ve known the family, I’ve had just about everything in the family. They all need one coming back off of a layoff. He’s been training great going into that race down in Virginia and I didn’t think it was the toughest Grade 2 in the world. Larry Murray: There was some nice horses in there but it was kind of a wide open race and he was training great and having Karamanos get on him in Virginia was a big plus because he owns that place down there. He’s just—he’s tremendous on that grass course down there. So when I knew we could get in, you know, I thought we had a shot to get a piece of it and, you know, I wasn’t thinking about winning and I was just hoping to get a piece of it. Jim Mulvihill: Right. And he worked Saturday at Laurel, I mean how do you feel about him now coming into this even tougher Grade 1? Larry Murray: I can’t ask for him to be training any better. He worked super Saturday, came out of the work great, looks good. This is a real big step up for him though. Grade 1 against these kind of horses. You know, Boisterous looks very tough. We ran against Big Blue Kitten two years ago and we shouldn’t have second (inaudible). Didn’t have the best trip that day. We were giving him five pounds that day and we just missed. So, you know, I don’t know if we’re as good as Big Blue Kitten but he deserves another shot at him. And, you know, if we beat Big Blue Kitten and we’re second I’d be tickled to death. Larry Murray: And I don’t want to discount the rest of them that are in there, you know, but I think this was—you know, kind of has earned the shot to go and he won’t mind the mile and a half, I don’t think. Jim Mulvihill: Excellent to hear that. All right, well I’m going to turn it back over to Michelle and let’s see who has a question for Larry Murray. Danny Brewer: What do you think about your horse’s experience related to his age? He seems to be kind of lightly raced. Is that good for him, bad for him or does it make any difference? Larry Murray: I think he’s got plenty of experience, you know, as far as tackling Grade 1 but he’s a grass horse and those guys only work part time. We don’t ship to Florida or Louisiana to extend his grass season. So when the grass is done here he goes home. Larry Murray: That’s why grass horses last so long. You know, I’ve had 10-year old grass horses andthey’re only part-time workers. Danny Brewer: Now as far as what he’s getting into with this Grade 1 with some of the guys that Jim named off, jump with both feet but you feel like you’re ready. Larry Murray: Say that again, Danny? Danny Brewer: You’re apparently jumping with both feet because I mean it’s a pretty imposing lineup with Boisterous and Optimizer and Big Blue Kitten but you feel you’re ready to take on that type of challenge? Larry Murray: I like the way he’s going into this race and it’s going to be a big test for him but we didn’t have a lot of options. There are not too many places you go other than these big races. (Inaudible) had a race I think for $50,000. I’d rather take a step forward than backward though. Danny Brewer: Depending on how this race goes I know there’s a lot of ifs but what could be next for him should he perform the way you hope in the Sword Dancer? Larry Murray: Well there’s a lot of places to go in the fall with a horse that can go a mile and a half, and I don’t want to dream too big, but Canada’s got races, New York, Belmont’s got a race, and if he doesn’t do any good here he can always come back to Laurel. They’ve got the Turf Cup a mile and a half in September. Carol Holden: Mentioned earlier that how long you have been with the Benders, a decade, and that’s fairly unusual in this industry for people to stay together for that long a period of time, so I was wondering if you could talk about basically what brought that about, how you’ve managed to be in partnership with them for so long? Larry Murray: I started training for them May of ’88 and had known them prior to that by managing the farm and managed—you’re right, it’s an unheard of thing for owners and trainers to stay together this long, but the Benders are the nicest people you’ve ever want to meet, they’re the greatest owners, they never second guess you, they’re just the greatest people in the world. Unfortunately, Mrs. Bender passed away February of last year, so we lost her, which is a big blow, and Mr. Bender is not quite as interested as he was when the two of them were involved. I talked to them everyday for 20 years, same time everyday, seven days a week and it’s been a big blow to have lost her and I’m hoping a horse like London Lane in Saratoga can kind of spark Mr. Bender’s interest, you know, to kind of get him pumped up about the game again. Carol Holden: Nothing like a big winner to do that. Well best of luck and thank you. Jim Mulvihill: Larry, can you tell us about your history with Saratoga? Have you had any success up there before? Sorry if that’s a naive question on my part but. Larry Murray: No, not at all. I—we’ve run quite a few horses there. I don’t think very successfully. I had a horse in the (inaudible) one year and it ran—a horse named Indian Dance against Blame in the Whitney, I believe it was. So we don’t go up there for too many easy ones but we have not won a stake up there and I don’t run, you know, very many other horses up there because it’s such a long trip for us and being such a tough meet. Jim Mulvihill: Gotcha. All right. Well this looks like a spot where maybe you can get that first Saratoga Stakes win. We wish you luck on Saturday. Larry Murray, thanks for joining us today. Jim Mulvihill: All right, Larry Murray’s going to start London Lane in the Sword Dancer on Saturday. And now we’re going to move on to our last guest on today’s NTRA National Media Teleconference. That last guest is Dale Romans. Dale’s been a licensed trainer since 1987 when he was 18. He’s trained at Champion and Kitten’s Joy, a Dubai World Cup winner and Rosa’s (ph) in May, Breeders Cup winners in Tapitsfly, Court Vision and Little Mike, and a Preakness winner in Shackleford last year. He won the Eclipse Award as the Nation’s Outstanding Trainer after four of his horses won multiple Grade 1s. This Saturday, he’s got two in the Arlington Million, that’s a Breeders Cup Win and You’re In race. Those two are Finnegans Wake and of course the defending Million Champion, Little Mike. Dale, you’re on with Jim Mulvihill in New York. Thanks for being with us. Dale Romans: Thanks for having me. Jim Mulvihill: Definitely. You are—I’m sure you’re aware that no horse has won the Million twice in consecutive years. John Henry won it twice but that was a few years apart. It’s obviously very difficult to win any million dollar race even one time. How many things have to go right to win a million dollar race two years in a row? Dale Romans: Well it’s hard to keep a horse around for that long. That’s at a high level. It’s just so taxing on him to run at a level and train as hard as they have to win a Grade 1. Jim Mulvihill: Absolutely. Now, Little Mike, he started his year in Dubai with a couple of, what we’d say, our subpar efforts for a horse that good – one on the tapeta and one on the turf and then was fourth in the UN. Everybody always talks about the lingering effects of traveling to Dubai. Have you sensed at any point since his return that he wasn’t himself or that it was taking a while for him to come around? Dale Romans: It took him a little while to get his weight back on and get as strong as he was. He ran(inaudible) a little bit in that last race in Dubai so we gave him a little time off when we first brought him over here but I thought the United Nations was a good race. I thought it was better than it looked. You know, he got pressed early in the race and shook him off and certainly had (inaudible), you know, first started off of Dubai and he’s come back and had some nice work since and is doing super. Jim Mulvihill: Excellent. Glad to hear it. Well, we also don’t want to look—overlook Finnegans Wake. He’s (inaudible) Arlington Million winner in Powerscourt and on paper it looks as if he’s working really well. What can you tell us about Finnegans Wake coming into this race? Dale Romans: He is working well. You know on paper he doesn’t have the credentials as some of these other horses but he’s kind of a narrow (ph) horse. He’s doing super at the moment and just seems to be getting a little better and better. His last race at Belmont was better than it looked. I thought he should have, at least at second, he had kind of a rough trip. Jennie Rees: Hey, Dale, last year with Little Mike can go a mile and a half but he’s not been in great form. So what could be the more improbable—or whatever word you would want to use would win this year versus last year? Dale Romans: Well you could give him much timing (ph) at least (inaudible) from his side seeing what’s happening, what’s going on and giving him excuses for his first few races this year. Physically there’s no excuse going into this race. He’s doing as good as he could possibly do. He’s back to his old self. You know, it’s his last year was the big question was the distance and—but there was a question to race forward and he was trying to go a mile and an eighth and the question at the Breeders Cup trying to go a mile and a half and he’s just done whatever we asked him to do and I expect him to bounce back and run huge Saturday. Dale Romans: Well this field’s a little bit bigger and a little deeper, it looks like to me. There’s a little bit more speed. You know, we’re just going to have to—I think (inaudible) going to be important and we’ll have to just analyze the way it sets up. We’re not going to take his run out of him just let him run and see how—if he can get the distance again. Jennie Rees: And when you come off this huge year like you were, you know, last year with the Eclipse tour and then you had maybe like a (inaudible) year this year. Did it get tougher or this kind of thing like you have to expect this after you retire all those horses? Dale Romans: Well I mean I kind of expected it after retiring the horses but doesn’t make it easier(inaudible) last year every year but like I said in several interviews, I would have taken last year as my career when I started. So just has to put a perspective and realize that you’re not going to have those types of years every year. Danny Brewer: Little Mike, awful big last year. Are you ready to be that large again now, you think? Dale Romans: He’s acting like it, he’s training like his old self and I’m anxious to see what he does Saturday. I thought, you know, he may just (inaudible) that he was back. He showed the speed that he has, did all year last year where he gets late (ph) pretty easy. He did that over at Skyring which is a fast horse and even look at beat, finished fourth, he didn’t get beat very far and as I said Skyring took a shot at him early and kind of changed the way the race was setting up and—but he still hung on tough. He looks like he’s back to his old self. Danny Brewer: Front-end speed has been kind of his calling card. Nothing’s changed there. Do you think he needs to be on the front to win the Arlington this year? Dale Romans: He doesn’t have to. I think he proved me (inaudible) last year that he’s very versatile. But, you know, speed’s dangerous. That’s always dangerous and that would be my first preference this leg try to open up a couple and see if they catch him. Dale Romans: Well he’s the hottest rider in the country and he hasn’t done anything wrong. It seems like he’s winning stakes every weekend, so, no we’re happy to have him. Carol Holden: Hi, Dale. Thanks a lot for joining us. I noticed both Little Mike and Finnegans Wake raced as two-year olds and there’s been some studies that say that it’s better for horses to race at two and have a longer career. I was wondering if you had any opinion one way or the other on that? Dale Romans: Well I mean I don’t know if it’s better for them to run, it makes them have a longer career. The type of horse that can run at two is going to have a longer career. I mean I’ve had a lot of owners that tell me that, you know, let’s try to get them started at two because it seems like they last longer. I don’t think you can force it. I don’t think it’s a fact that they were in at two. I think it’s the fact that they’re the type of horse that can run at two, they’re pretty durable and that kind of horse has several years of racing under their belt. Jim Mulvihill: Dale, I want to ask you about a couple of your other stable stars, but before we get to that, sticking with Arlington Million, can you just help us set the stage as far as the significance of this race, its history and some of the past winners? What do you think about when you think Arlington Million? Dale Romans: Well I think it’s our premier turf race in the country. I mean I remember as a kid watching John Henry and Bart hits a the wire in the first million dollar race over in America and some of the amazing races (inaudible) coming back and winning it three years later. It’s just—it’s really a young race as far as the world’s concerned but it’s already had a lot of great moments and for me it was always the second race, biggest race I wanted to win outside of Derby and I was fortunate enough to do it last year and it was pretty amazing. Hopefully get another trophy. Jim Mulvihill: Excellent. All right, and I mentioned wanted to ask you about some of your other horses. Can you tell us about Dullahan? He’s—it sounds like he’s confirmed for the Pacific Classic the weekend after this. Dale Romans: He’s doing super. He had great work this weekend. He’s going to fly out there on the 19th and it’s another million dollar race we’re going to try to defend the title on. Jim Mulvihill: Outstanding. And also on Saturday you’ve got Balthazar in the Secretariat kind of a lightly-raced colt. Only a maiden winner but might be coming around at the right time? Dale Romans: He is coming around at the right time. He is lightly raced and his form isn’t going to be as good as some of the horses in there but we think the extra distance and the way he’s training he’s on a big uptick and I think—I expect he’d run a big race. Jim Mulvihill: All right. Well, Dale Romans, we appreciate the information today. You’re poised to have a big weekend. We wish you luck and thanks for being with us today. Dale Romans: Thanks for calling. Bye. Jim Mulvihill: All right. Dale Romans, ladies and gentlemen, trainer of Little Mike and Finnegans Wake, who we’ll see this Saturday in the Arlington Million. Thank you to Dale as well as to Larry and Eddie Stanco as well as Ken Ramsey who joined us from his layover. We’ll be back this time next week to talk about the Travers, the Pacific Classic, the Ballerina, the Personal Ensign, the Pat O’Brien and the King’s Bishop. As always, if you’re working on a story, let us know how we can help. Just contact any of us here in the New York office. Now I’m going to send it back to Michelle.